Golf Week reported last night that Phil Mickelson had been appointed as the Interim Assistant Golf Coach for the Arizona State University (ASU) men’s golf team. However, this is probably not quite the sensational appointment one might think at first glance. Phil is an ASU alumni – he won a record three NCAA Individual titles representing the ‘Sun Devils’ – and more importantly his younger brother, Tim, is the men’s Head Coach. Tim has been looking for an Assistant since September. At the end of the day he is still looking and Phil has no plans to settle down into College coaching. What is interesting is the timing of the announcement – on two levels. Firstly, Ryan Ruffels tweeted on the 4th November that he had unexpectedly received a call from Phil Mickelson (see below). 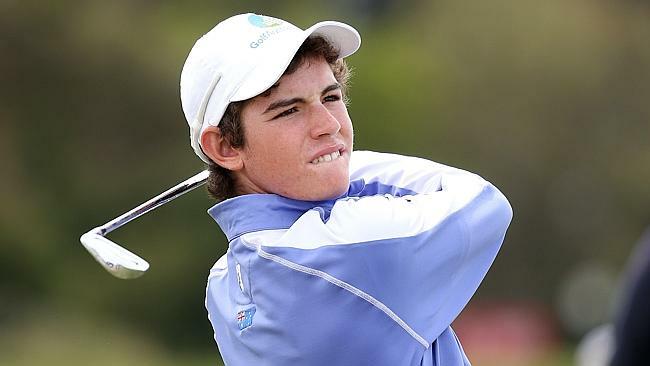 For those that don’t know 16 year old Ryan is the next great hope for Australian golf (although he was born in the USA). He made the cut in last year’s Australian Open, aged 15, and is currently ranked 24th in the World Amateur Golf Rankings (WAGR). It will be a surprise to many if he does not develop into a future star of the game. Not unreasonably many commentators assumed last week that Phil could only really be phoning to discuss the merits of ASU and his brother’s coaching. Indeed it is reported that Phil has arranged to meet Ryan on his next trip to the USA. Given the strict NCAA rules concerning the recruitment of players it is highly likely that many other Colleges have complained about this course of events. Secondly, tomorrow also sees the opening of the window whereby College teams can formally sign High School seniors to letters of intent. Therefore one or two other young players, whose minds are not already made up, may also be about to get a surprise phone call. Therefore the ‘appointment’ has probably been made, in the first instance, to save face for the NCAA, ASU and Phil over the Ruffels call and in the second to tee up some more recruiting this week. Coaching staff have free rein as to who they speak to and when. Either way it would be great to see Phil spend some quality time with the ASU College team and put something back into the game. This entry was posted in U.S. College Golf and tagged Arizona State, NCAA, Phil Mickelson, Ryan Ruffels, U.S. College Golf. Bookmark the permalink.